Why my garage door is not working? The remote control has no battery. And this is only a partial list. There are many possible reasons that can prevent a garage door from working properly, and this applied to any garage door problem, whether it is a garage door in Rockland County, broken garage door repair Staten Island, or garage door in Westchester County. So before we will be able to determine what the problem is (As much as we can without physically examine the door), we need to first determine what kind of difficulties you are experiencing trying to operate the door. We will list bellow common questions regarding garage door problems, ways to deal with them, and we will include a Video that should help you complete the repair, in case you choose to perform the repair by DIY. Keep in mind that repairing broken garage door can be complicated and dangerous. 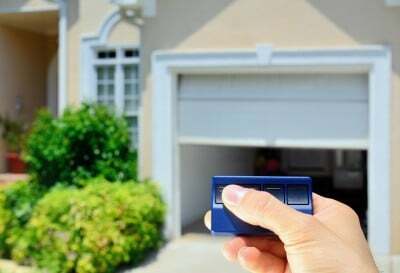 And in order to deal with different garage door issues, whether it is a broken garage door repair in Scarsdale, garage door repair in Bronx NY, or anywhere else in Westchester County, require from you the tools, the parts, and fully understating of the garage doors and of the way the operate. If you find that you are not sure about the repair, if you think that you may need help, or if you have any questions, you can ask a garage door specialist, or hire garage door technician in Westchester County for the repair. A good source of information can be found in this garage door repair community, where people share their knowledge in the garage door repairs field, and answer questions from people who try to repair their garage door by DIY. The information we present here is not a recommendation to repair broken overhead doors by doing it yourself, and cannot replace the work and the opinion of a qualified garage door technician Westchester County, who can come to check the broken door, and has the tools and experience to fix any broken garage door in Westchester County. Here is a list of common garage door problems, and the ways to deal with them, if you find the problem you are facing, click on the problem, and you will be transferred to the section that will help you solve the problem. We are based in Westchester County, but the information we present here can be used for garage doors in many other location. Why my garage door is not opening? How to access the garage if the door is locked? Why my garage door is not closing? Why the garage opener can’t lift the door? Why my garage door is out of tracks? Why the garage door is making noises? Why my garage door spring snapped? Do I need repair or a new garage door? The remote control doesn’t open the door. If you are trying to use the remote control, but it doesn’t trigger any respond form the garage opener, try and see if you can try and open the door using the Key-pad which located outside, or from the push button (wall switch) which located inside the garage. In case they do open and close the door, you may have a problem with the remote. Start by replacing the remote’s battery, and try again. In case the door still not opening. If you tried using the key-pad and the wall switch, but none of them made the opener work, check the opener and look for lights. If you see no lights from the garage opener (Or the push button, or safety sensors), it is possible that the opener doesn’t get any power. First check if the garage door opener is connected to the electricity, if yes, check if there is electricity in the garage, if not, it may be that one of the breakers is down, or you may need an electrician for the repair. If this is the case, you opener may be fine, and there is no electricity in the garage. Call an electrician in Westchester County to come and fix the problem. It may a broken garage door in Westchester County, or roll up gate repair in Rockland County, trying to use the opener when there is obviously something wrong with the motor or with the door itself, can only make things worse, and will lead to a repair that will cost you more. If your garage door is not opening, and you have no access into the garage from another door, or from inside the house (Detached garage doors), try to use the emergency release. The emergency release is the lock which instead on the center of the door, in the upper panels. This key is something that you probably never used before, so do not confuse it with the garage door lock, which is installed lower in the center of the door. How to use the emergency release? Insert the key, and pull the steel cable outside, you need to pull the cable, and disengage the opener from the door. This will allow you to open the door manually, and to open the garage door. Note: This method is to be used in case of emergencies, and not the way to open or close the garage door. If you do not have emergency release installed, you may need to use a garage door technician in Westchester County, to come and open the door for you. A qualified garage door technician should have the tools and different methods that can be used in order to break into garages in Westchester County without any damage to the door or to the garage. If you are trying to close your garage door in Westchester County automatically, but the door is closing partly, stop, and reverse to open position, in most cases the problem is with the garage door safety sensor. Usually when the door is closing partly, and then open again, it will be followed by a signal from the opener like noise or light going on and off, signaling that there is something wrong with the safety sensors, or, there is something at the door’s path that prevent the opener from closing the door. To understand the problem and the ways to deal with it, you need to understand the way the garage openers operate, and how to troubleshoot garage opener in Westchester County. 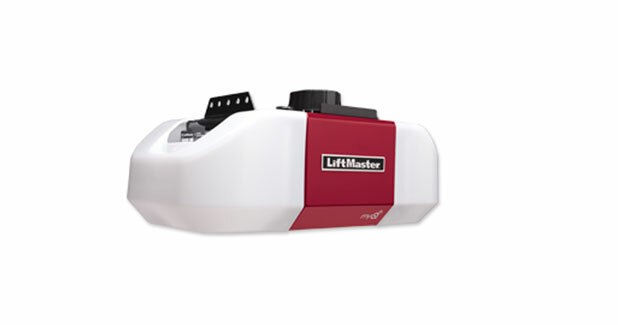 We will take the Liftmaster garage opener as example, to make it clearer: The garage opener will not close the door unless the safety sensors “tell” the opener that the entrance is clear, and that there is nothing at the door’s path. Only then the opener will close the door. This goes for every garage door, whether it is garage door in New Rochelle, or garage door in La Puente CA. When the safety sensors are not working properly, whether the cable cut, the safety sensor broke, the screw that hold the sensor got lose, or any other problem, the opener will not close the door. 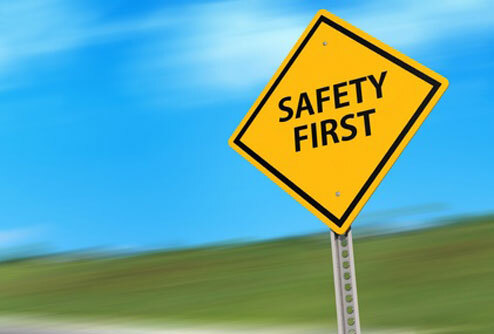 You should know, that the safety sensors are required by low, and there is only one way to install them and that is the safest and the most efficient way. There are wrong ways to install safety sensors, and this is something you should try and avoid! Click on the following link to learn more about garage door safety sensors troubleshoot. 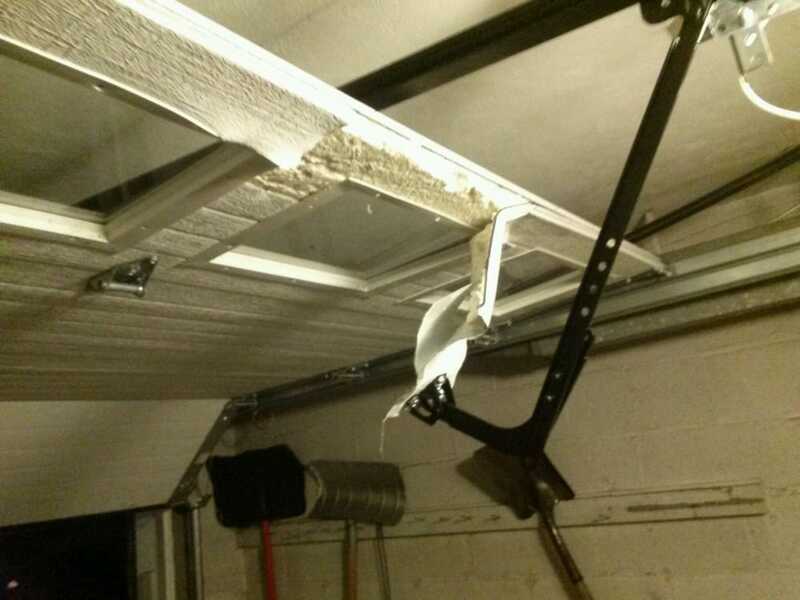 If your garage opener can’t lift the garage door, it may due to several possible reasons. It can be something very basic, like if you forgot to open the lock of the door, and trying to open the door although it is locked (We have seen that during serving garages in Westchester County). To a broken spring, snapped cable, or even a broken opener. If you are trying to open the door remotely, you hear the opener, but the door is not opening, stop trying, if you will try to open the door remotely even that obviously there is something wrong, you can burn the opener. There is a reason why the opener can’t lift the door, and the reason need to be located in order to repair the problem. And there is one important thing you need to know about the garage door, and the garage opener: The opener is not what lifting the door, but the springs is what doing it! So if one of the spring break, or one of the cables snap (Which has the same affect), you need to address the problem first. If the door and the door’s mechanism is fine, you should be able to use the door manually with no problems. So it is easy to understand that if the door is not working perfectly when it is being used manually, it shouldn’t be used with the opener! If the door is not working properly when it being used manually, you need to repair the problems first, and only once you made sure that there is working properly again, reconnect it to the garage door opener, and use it automatically. This goes to every garage door, whether it is a commercial garage door in Westchester County, or a roll up door in NYC. If a garage door is off tracks, there is a reason for that. Garage doors in Westchester County that were properly installed, should never go out of tracks. If your garage door off tracks, stop using it, and use a garage door specialist to fix the door. Sometime the reason why the door is off tracks is obvious, like if someone backed into the door with a car, and as a result the rollers came off tracks. But sometime garage doors can go out of tracks for no obvious reasons, and that require repairs. It may look tempting just to push the door back into tracks, and doing so may bring the door back into tracks, but by doing so you did not solve the problem. And the problem most likely to repeat itself. If your garage door is coming off tracks, we suggest you will contact garage door technician in Westchester County New York to repair the door, and to make sure the problem won’t happen again. If your garage is making noises when you use it, it may be due to several reasons. First you need to determine if the noise is coming from the garage door opener, or from the door itself. Sometime it may be due to simple problem, like if the door wasn’t lubricated for a long time, and basic maintenance may solve the problem. And sometime the problem is more serious, and require repairs and even parts replacement. Just keep on mind that replacing garage door spring, whether it is a garage door in Westchester County, in Rockland County, or anywhere else can be dangerous, and require knowledge, locating the right spring for the door, and the tools like torsion sticks. There is only one set of spring that will fit your garage door, and even if they might seem the same to you, using the wrong spring will prevent the door from working, and can end with serious injuries. If at any during the garage door spring replacement you are not sure what to do, stop and contact a local garage door company in Westchester County. This is a question that we are dealing with almost every day. There are many customers in Westchester County who wonder what the best decision will be, and they are not sure if to repair or replace broken garage door. And unfortunately, in this post it will be impossible to provide you with a professional answer, since each case is unique, and what may work for a broken garage door in Greenwich CT, may not work for a broken garage door near Bronx New York. J&C Garage Doors and Gates offer all kinds of new garage doors installation in New York, we supply new doors from leading brands like Matalonco Doors, Amarr, Clopay and more. If you want to see some works we have done, you can check our garage doors gallery. We have loyal customers, which their doors we repaired and install, and they find us professional and helpful. You can find reviews about our services on Yelp, and on Google, to see that we always do our best to provide professional service, to make the customer satisfied. Broken garage door is dangerous! If there is something wrong with your door, stop using it and contact us for same day service.